A new law firm which will help people injured in accidents that weren’t their fault, has opened its doors in Kettering. 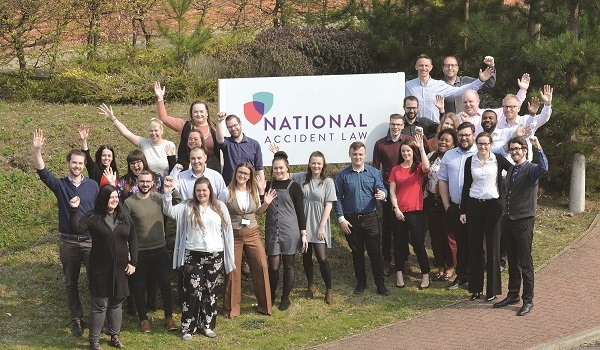 National Accident Law has been created by NAHL Group, owner of National Accident Helpline, and is based at Bevan House on Kettering Venture Park. The company will employ around 30 people – a mix of new recruits and experienced team members from National Accident Helpline, based nearby on Kettering Parkway, who wanted to be part of the new venture. National Accident Law has been set up by NAHL Group as its first business which can handle the case management phase of a compensation claim for an accidental injury. The law firm has plans to expand its workforce rapidly in its early years, including taking on a number of apprentices. Adam Nabozny, Managing Director of National Accident Law, said: “Legal firms are not best known for their customer service and we felt that there was a real opportunity to create a new company in the market that could change that. “With 25 years of experience from the growth of National Accident Helpline, we were ideally positioned to create a new type of law firm which marries up quality legal services with excellent customer service. National Accident Law will become one of the companies on National Accident Helpline’s panel of solicitors. Companies on the panel are allocated cases to handle following customer calls made to National Accident Helpline’s Legal Support Centre.